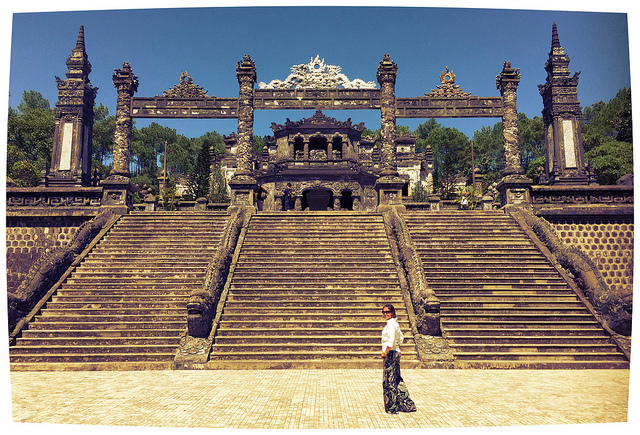 Why We Love Vietnam – Not Just a Long Holiday – Back in New York! ‘Gooooood Morning Vietnaaamm!’ in Robin Williams cheery loud voice on the flight put us right in the spirit for our first stop in Asia. Ollie had been here about 8 years ago and has been wanting to come back ever since. It lived up to the bar that he had set high and more. It might be a bold statement, but I think Vietnam has become one of our favorite countries and here is why..
Not going too far back, Vietnam had its golden period during the Nguyen dynasty in the early 18th century for 143 years. (Hence, the most common last name here is Nguyen). The French colonized Vietnam and brought with them some tasty baguettes and beautiful architecture. Citing political reasons, America got involved helping the French. They decided to stay involved even after the French left in 1954, supporting the democratic south Vietnam against the communist north. They finally gave up and said good bye on April 30, 1975 letting communism reign over. Forward flash to today, and you see communism barely impacting day to day life, except for flags and slogans, propaganda in museums and an opaque bureaucratic government.The anti-America propaganda is limited only to museums and people here love everything else about the U.S. We met a few people who had left Vietnam after having witnessed history and independence for America. They gave us a true picture of real communism of being forced to live in hotel’s and being followed around when they came to visit their families in the early years. 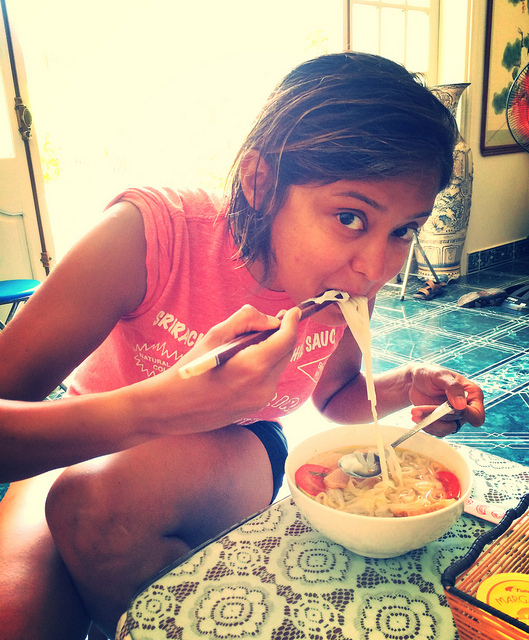 Vietnam is a long country with the culture and food changing as you scale up or down the country despite the geography not changing drastically. Even their staple Phở (noodle soup) varies from Saigon (south) to Hoi An (central) to Hanoi (north). 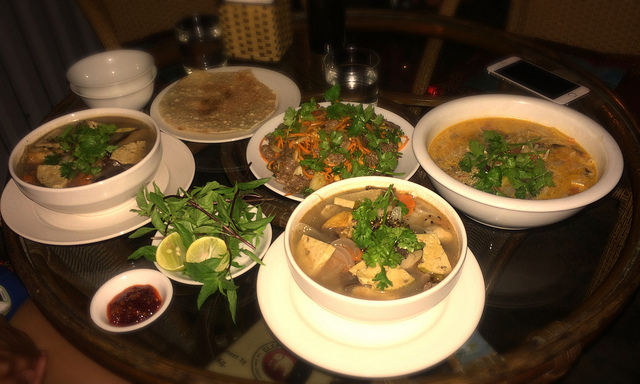 Our favorite was the one in Hoi An, with it’s fill of fresh veggies, tofu & slight spice. I’m getting bold with my favorites, huh?! They make plenty of ăn chay (vegan) food, thanks to the prevalence of Buddhism. Freshly made textured soy and tofu used in abundance was very tasty and looked a bit much like meat, at times. The eggplant and mushroom hot claypots are to die for! Like India, stark extremes coexist here in harmony. Fashion brands, both real and fake can be found one street apart and so can tall luxury towers to basic one room homes. You can find roadside food stalls with kindergarten sized chairs right next to fancy fine dining places. 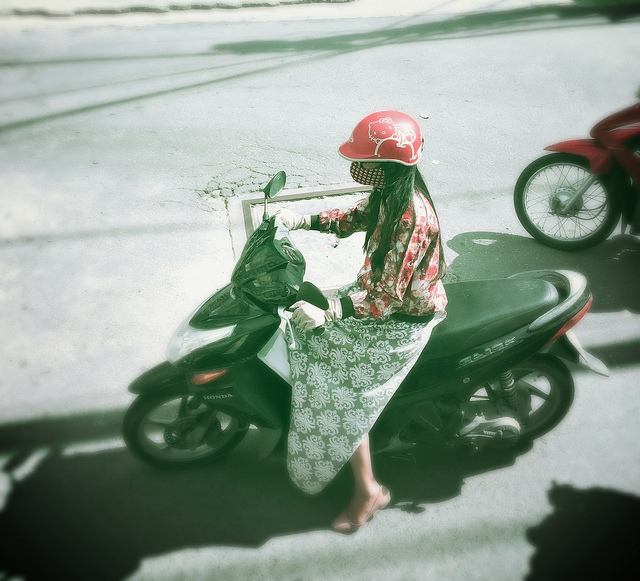 The Vietnamese people take care of themselves. Despite their primary rice diet, they eat healthy. They didn’t take the fromage from the French, just the light crisp baguette. Even the older people exercise, you can find them early mornings and evenings in the park beside youngsters playing foot badminton. They love their fairness creams like most of Asia. And they cover themselves completely from head to toe, protecting their skin from the harsh sun here. The typical cone hats are actually common, and can be spotted even in the cities sported by the old fashioned. Avoiding skin damage. Covered from head to toe. Acing in not only exporting its excellent rice and coffee, Vietnam is up there in the world of arts, textile, lacquerware and oh, the scrumptious culinary world! It has man-made beauty from the French and Nguyen dynasty times to the natural breath taking landscapes in the mountainous Sa Pa, mini-islands in Halong Bay, majestic caves in Phong Nha-Kẻ Bàng and the pristine beaches along the vast coastline. We’ve managed to drive, bus, sail, kayak, bicycle and motor bike most of the countries length, taking in the sights, sounds, tastes and beauty of each of it’s corners. Vietnam is a developing country progressing rapidly and welcoming anyone who’d fall in love with its chaotic simpleness. Never mind anything else Vietnam, you had me at noodles for breakfast! I like your post. It is real Vietnam. 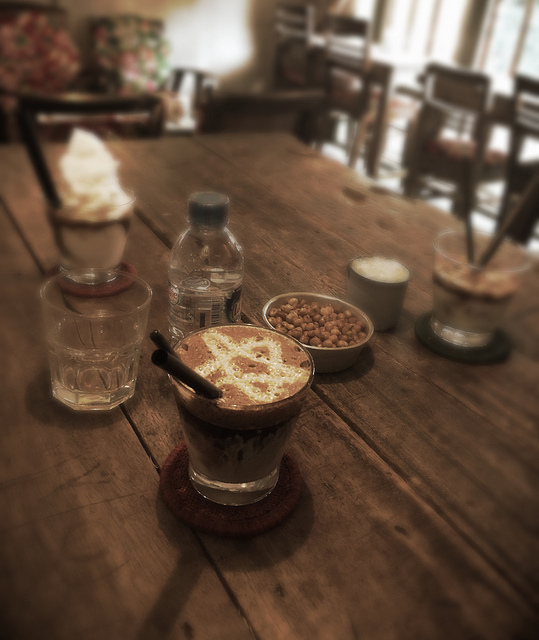 Hopefully you will return Vietnam someday and we are able drink cup of coffee and talk about ” Vietnam love”.